The goal of the Cancer Genetics and Epigenetics research program at Winship Cancer Institute of Emory University is to better understand the fundamental mechanisms underlying genetic and epigenetic instability and its contribution to the initiation and progression of human tumors and to exploit these mechanisms to reduce cancer mortality. A key long-term goal of the Cancer Genetics and Epigenetics research program is to interface with other components of the Winship Cancer Institute and its membership to define the genetic and epigenetic determinants of therapeutic response and clinical outcome, and to identify novel targets for therapeutic intervention. Discovery efforts have led to the identification of key genes whose mutation or altered expression contributes to cancer initiation and progression. Basic discoveries in the area of cancer epigenetics have prompted early small molecule screening efforts to identify novel targeted agents. 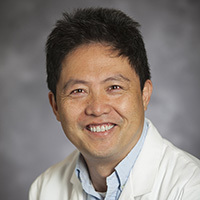 Led by Lawrence Boise, PhD, and Wei Zhou, PhD, the program comprises twenty-eight core members from thirteen academic departments and three schools at Emory University, including Emory College, the School of Medicine, and the School of Public Health, with coalition investigators from the Georgia Institute of Technology. Cancer Genetics and Epigenetics program members continuously publish high-quality research in premier scientific journals. To learn more about the Cancer Genetics and Epigenetics research program at Winship Cancer Institute, please contact Lawrence Boise, PhD at (404) 778-4724. Visit the Emory University's Cancer Biology Graduate Program website to learn about outstanding training opportunities in every aspect of cancer research, from basic to translational. 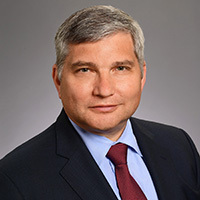 Dr. Boise is a renowned researcher in the area of multiple myeloma. Dr. Zhou's research focuses on molecular genetics of human cancer.